Unit4What Do You Do on Saturday? 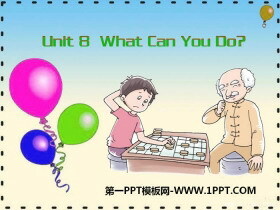 《What Can You Do?》PPT 第一部分内容：课文导入 What can you do? I can swim. Look! I can swim very well. 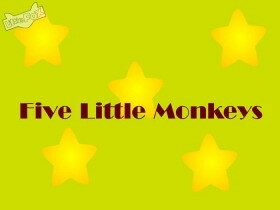 What can the monkeys do? They can climb the tree. What can the dog do? It can help the man. 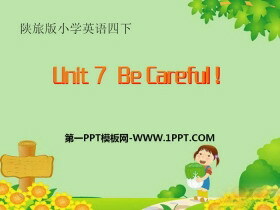 We are going t..
《Be Careful!》PPT 第一部分内容：课文导入 Let s go to the shop. 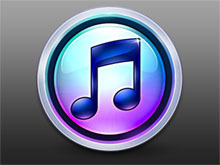 I m going to buy a gift for your grandpa. OK. All right. Be careful! Look at the traffic lights. It s yellow. Don t cross the street. 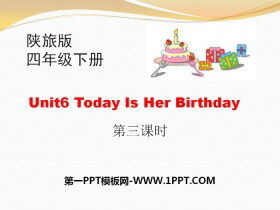 Stop and wai..
《Today Is Her Birthday》MP3音频课件 文件内包含本课教学使用的MP3音频文件，非常适用于本课教学。 关键词：陕旅版四年级下册英语MP3音频课件免费下载，《Today Is Her Birthday》音频下载，.mp3格式；..
《Today Is Her Birthday》Flash动画下载 本课件为《Today Is Her Birthday》的歌曲Flash动画课件，适合小学英语学习。 关键词：陕旅版四年级册下册英语Flash动画课件免费下载，《Today Is Her Birthday》动画下载，.swf格式；..
《Today Is Her Birthday》Flash动画课件 本课件为《Today Is Her Birthday》的歌曲Flash动画课件，适合小学英语学习。 关键词：陕旅版四年级册下册英语Flash动画课件免费下载，《Today Is Her Birthday》动画下载，.swf格式；..
《Today Is Her Birthday》PPT课件下载 第一部分内容：Warm-up Lets chant Its your party. You can make a wish. Wish for a card. Wish for a bike. Wish for a ball. Wish for a kite. Wish for more friends. 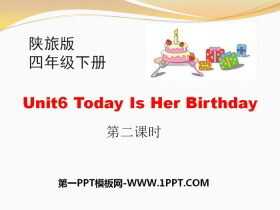 Wish for goo..
《Today Is Her Birthday》PPT下载 第一部分内容：Lead-in Say the numbers Free talk How old are you? Presentation Lets learn more How old is Mr. Brown? He is thirty-two. 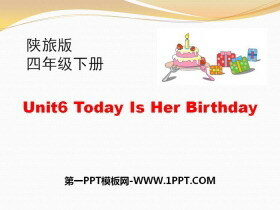 ... ... ... 《Today Is Her Birthday》PPT，..
《Today Is Her Birthday》PPT课件 第一部分内容：Lead-in Think and tick What are you going to do for your mother on her birthday? Presentation Listen, then ask and answer Q1: What is Wu Chen going to do? 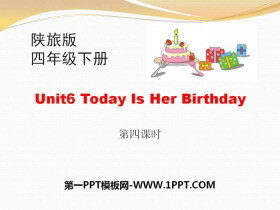 Shes goi..
《Today Is Her Birthday》PPT 第一部分内容：Lead-in Free talk When is your birthday? 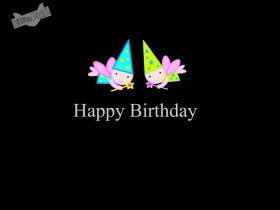 What about your birthday? Lets learn Jack is going to have a birthday party. birthday party -What are these? -They are gifts. 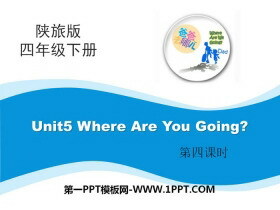 ..
《Where Are You Going》MP3音频课件 文件内包含本课教学使用的MP3音频文件，非常适用于本课教学。 关键词：陕旅版四年级下册英语MP3音频课件免费下载，《Where Are You Going》音频下载，.mp3格式；..
《Where Are You Going》Flash动画课件 本课件为《Where Are You Going》的歌曲Flash动画课件，适合小学英语学习。 关键词：陕旅版四年级册下册英语Flash动画课件免费下载，《Where Are You Going》动画下载，.swf格式；..
《Where Are You Going》PPT课件下载 第一部分内容：Presentation Lets sing Little mouse, little mouse, Run so fast, run so fast. Where are you going? Where are you going? Little mouse, little mouse, Run so fast, r..